Today, Rockstar Games has revealed a plethora of new locations for the map of the upcoming gun-slinging open-world game, Red Dead Redemption 2. Among these locations are new cities, frontiers, and towns. Valentine (The Heartlands, NH): A rough town full of auctioneers, cowboys and gamblers. Annesburg (Roanoke Ridge, NH): A mining town where many of the miners have lost their lives in the dangerous work conditions. 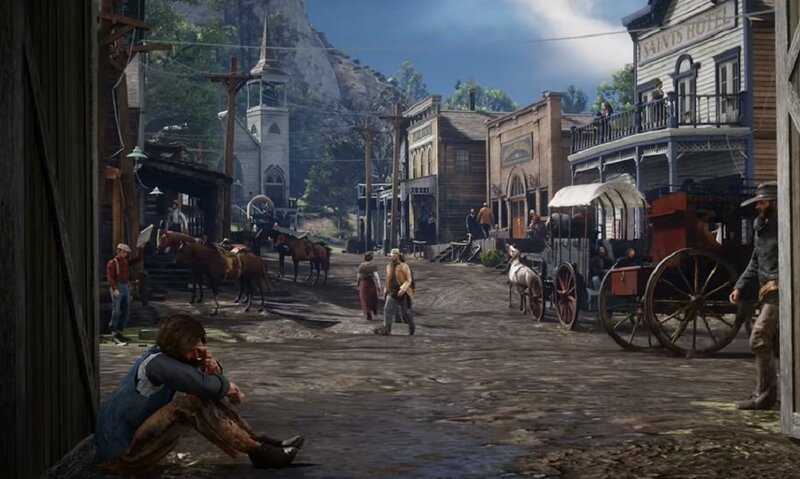 Saint Denis (Bayou Nwa, LE): A bustling town full of entrepreneurs and socialites with a trade route stretched along the length of the country. Mount Hagen (Grizzlies, AM): The main pass through the mountain range towering over Lake Isabella to the west and Beartooth Beck to the east. Rhodes (Scarlett Meadows, LE): While it may look proper, corruption runs deep in this in this town full of two warring plantation families, the Braithwaites and the Grays. Strawberry (Big Valley, WE): A small logging town transformed into a cultural beacon for wealthy tourists. Lagras (Bayou Nwa, LE): A small, remote settlement in the swamps of Bayou Nwa where its people make a living by fishing. These are just a handful of locations that’ll appear in Red Dead Redemption 2. It will be released on October 26th, 2018 for PlayStation 4 and Xbox One. For more information, visit the official website.